The past is a term used to indicate the totality of events which occurred before a given point in time. The past is contrasted with and defined by the present and the future. The concept of the past is derived from the linear fashion in which human observers experience time, and is accessed through memory and recollection. How can I tell that the past isn't a fiction designed to account for the discrepancy between my immediate physical sensations and my state of mind? Douglas Adams, The Restaurant at the End of the Universe (1980), Chapter 29, said by "the man in the shack." Felix Adler, Founding address of New York Society for Ethical Culture (15 May 1876). Martin Amis, Lecture given at the John F. Kennedy School of Government, Harvard University (30 January 1997). All the political, economic, administrative, and scientific issues of our times were unknown to the Prophet's companions. They did not sit on chairs in front of cameras, they had no media, no satellite TV. Does this prove that we are not allowed to use them? The fact that something did not exist in the past does not mean that it is forbidden. Former dean of Islamic law at Qatar University, Abd Al-Hamid Al-Ansari, Muslim Former Dean of Islamic Law at Qatar University Abd Al-Hamid Al-Ansari Speaks Out in Support of US Presence in the Middle East. MEMRI (July 26, 2007). Therefore Agathon rightly says: "Of this alone even God is deprived, the power of making things that are past never to have been". Same idea in John Milton, Paradise Lost, 9. 926. Pindar, Olympia. 2. 17. Pliny the Elder, Historia Naturalis, 2. 5. 10. Aristotle attributed these words to Agathon, an Athenian tragic poet who lived in the latter half of the fifth century B.C. 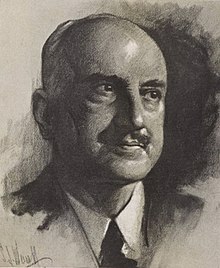 In his column, "Today and Tomorrow", Walter Lippmann attributed the same idea to George Santayana: "He might meditate on Santayana's saying that not even God can change the past". New York Herald Tribune (June 11, 1951), p. 17. Reported as unverified in Respectfully Quoted: A Dictionary of Quotations (1989). Our image of happiness is indissolubly bound up with the image of the past. Walter Benjamin, Theses on the Philosophy of History (1940), II. Nothing that has ever happened should be regarded as lost for history. To be sure, only a redeemed mankind receives the fullness of its past — which is to say, only a redeemed mankind has its past become citable in all its moments. Each moment it has lived becomes a citation à l'ordre du jour — and that day is Judgement Day. Walter Benjamin, Theses on the Philosophy of History (1940), III. Walter Benjamin, Theses on the Philosophy of History (1940), V.
To articulate the past historically does not mean to recognize it ‘the way it really was’ (Ranke). It means to seize hold of a memory as it flashes up at a moment of danger. Variant translation: To articulate what is past does not mean to recognize “how it really was.” It means to take control of a memory, as it flashes in a moment of danger. Walter Benjamin, Theses on the Philosophy of History (1940). As translated by Dennis Redmond (2001). This is how one pictures the angel of history. His face is turned toward the past. Walter Benjamin, Theses on the Philosophy of History (1940), IX. You shouldn't chase after the past or place expectations on the future. What is past is left behind. Fausto Cercignani in: Brian Morris, Simply Transcribed. Quotations from Fausto Cercignani, 2013, p. 9. Oswald Chambers My Utmost for His Highest (1956). Section "December 31". John Dryden, Imitation of Horace (1685), Book III, Ode 29 line 69-72. William Faulkner, Requiem for a Nun (1951), Act 1, sc. 3; this has sometimes been paraphrased or misquoted as "The past isn't over. It isn't even past." I know when I was a kid, I used to look at these pictures and listen to the songs of the Gay Nineties, and I used to say to my mother, 'Oh, I wish I had lived then; it was so gay and so wonderful.' [...] Now [the Jazz Age] seems very mysterious and wonderful to you, kids, and when you have kids, they'll say, 'Gee, Dad, those 50's, they were something.' [...] I really think it goes in cycles. When your kids come in and say 'Gee, Dad, I wish we had done that,' and so on and so forth, it's the same thing. I don't think it's changed a great deal. [A]t the crossroads of our history, we need to turn our backs on the past. To be the glorious empire of the mind. All that we have, was by its efforts brought. Make for the future — certain is to be. The past and future are veiled; but the past wears the widow's veil; the future, the virgin's. Jean Paul, as quoted in Treasury of Thought (1872) by Maturin M. Ballou, p. 521. Progress, far from consisting in change, depends on retentiveness. When change is absolute there remains no being to improve and no direction is set for possible improvement: and when experience is not retained, as among savages, infancy is perpetual. Those who cannot remember the past are condemned to repeat it. This is the condition of children and barbarians, in whom instinct has learned nothing from experience. George Santayana, The Life of Reason (1905), vol. 1, chapter 12, p. 284. How can we live without our lives? How will we know it's us without our past? John Steinbeck, The Grapes of Wrath, p. 120 (1939). For the past was once the future, and the present, but the future is not yet the past, but has the whole of its essence in existing in some after time. Thomas Taylor, Proclus. The Theology of Plato Vol II, 1816. Elio Toaff "Pope Speaks in Rome Synagogue, in the First Such Visit on Record" by E. J. Dionne Jr, The New York Times, 13 April 1986, retrieved 9 August 2010. H. G. Wells, The Discovery of the Future (1901). Quotes reported in Hoyt's New Cyclopedia Of Practical Quotations (1922), p. 581-83. But that remembrances says: The things have been. William Cullen Bryant, To the Past. Alfred Bunn, The Maid of Artois. Your bonny brow was brent. Gone—glimmering through the dream of things that were. Lord Byron, Letter. Jan. 28, 1821. Through the long furrow drave the ploughshare straight. Mortimer Collins, letter to the Rt. Hon. B. Disraeli, M. P. Pub. anon. 1869. "Ploughing his lonely furrow." Used by Lord Rosebery. July, 1901. Sarah Doudney, Lesson of the Water-Mill. John Dryden, Imitation of Horace, Book III. Ode XXIX, line 71. Ils sont passés ces jours de fête. The days of rejoicing are gone forever. Jacques Du Lorens, Le Tableau Parlant. Oh le bon temps où étions si malheureux. Alexandre Dumas, Le Chevalier d'Harmental, II. 318. Un jeune homme d'un bien beau passé. A young man with a very good past. Heine of Alfred de Musset. Quoted by Swinburne, Miscellanies, p. 233. O Death! O Change! O Time! William Ernest Henley, Rhymes and Rhythms, XIII. My selfe now live: this age best pleaseth mee. Robert Herrick, The Present Time Best Pleaseth. O God! Put back Thy universe and give me yesterday. Henry Arthur Jones, Silver King. Ken Kesey, As quoted by Tom Wolfe in The Electric Kool-Aid Acid Test (1968) Ch. 11. Charles Kingsley, Life, Volume II, Chapter XXVIII. There’s a resistance to the idea that things can be learned from the past, but the past is a kind of closet full of human beings who have lots to say; the door should be opened once in a while. Henry Wadsworth Longfellow, It is not always May. James Russell Lowell, The Cathedral, line 234. Prisca juvent alios; ego me nunc denique natum Gratulor. I think it lucky I was born so late. Ovid, Ars Amatoria, III. 121. Translation by Sydney Smith. Will ne'er make grow againe. Thomas Percy, Reliques, The Friar of Orders Gray. See John Fletcher, The Queen of Corinth, Act III, scene 2. Adelaide Anne Procter, Voices of the Past. In tanta inconstantia turbaque rerum nihil nisi quod preteriit certum est. In the great inconstancy and crowd of events, nothing is certain except the past. Seneca the Younger, De Consolatione ad Marciam, XXII. William Shakespeare, The Tempest (c. 1610-1612), Act II, scene 1, line 253. From the conquest but One could foil. Percy Bysshe Shelley, Prometheus Unbound (1820), Act IV, scene 1. Long after that primeval race was run. Horace Smith, Address to the Mummy in Belzoni's Exhibition. Charles Swain, Oh, Had I but Aladdin's Lamp. The eternal landscape of the past. Alfred Tennyson, In Memoriam A.H.H. (1849), Part XLVI. Richard Chenevix Trench, Poems (Ed. 1865), p. 303. Proverbs, Turkish and Persian. Many a woman has a past; but I am told she has at least a dozen, and that they all fit. Oscar Wilde, Lady Windermere's Fan, Act I. A Woman with a Past. Title of a Novel by Mrs. Berens. Pub. 1886. That awful independent on to-morrow! Nor, like the Parthian, wound him as they fly. Edward Young, Night Thoughts (1742-1745), Night II, line 322. This page was last edited on 17 April 2019, at 23:45.